You may be aware that the Winter Craft and Hobby Association show (CHA) has just taken place in the US. You may have seen some of your favourite brands showing off their new products and releases. We thought we would share some of our top pics from some of our favourite brands. Get your shopping lists out and ready to add to!! Prima are well loved for their flowers and embellishments and their new releases do not disappoint. You can see more details of the releases on their blog here. We love the colours of the new flowers, very on trend with all those hints of gold and bronze! We also loved Primas new Ingvild’s Junkyard Findings and Shabby Chic Treasures…. The Dylusions line has lots of new releases that those of you into mixed media will love. She has lots of new ink colours, stencils and stamps perfect for getting inky with! We really love this shattered stencil…. And these background stamps are just perfect for any project…. Tim Holtz has a lot of new products released at this CHA. Trying to limit it to two picks was difficult! You can see all the releases here. One of our favourites are the new framework dies, especially the hexagon and trellis ones…. We love Crate Papers collections and these new releases are no exception. You can see the new collections listed here. We love the Boys Rule collection – it will make those difficult projects for boys and men so much easier…. And the Style Board collection is gorgeous, we love the colour pallet on this one…. Graphic 45 have some lovely new collections out. One of the things we love about their collections are the matching stamps. We love this vintage By The Sea collection and the matching stamps are gorgeous. We are huge fans of Lawn Fawn and always adore all their new releases! They have brought out a range of gorgeous note cards that we love. This range also has a paper collection to match…. And of course we love all their new stamps, especially this set Happy Trails…. 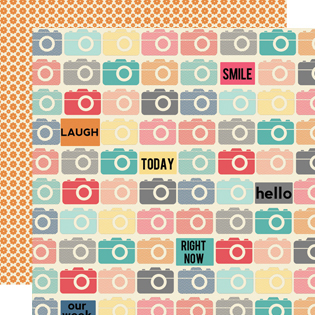 Everyday collection is such a fun design to use in Project Life or in traditional scrapbooking. 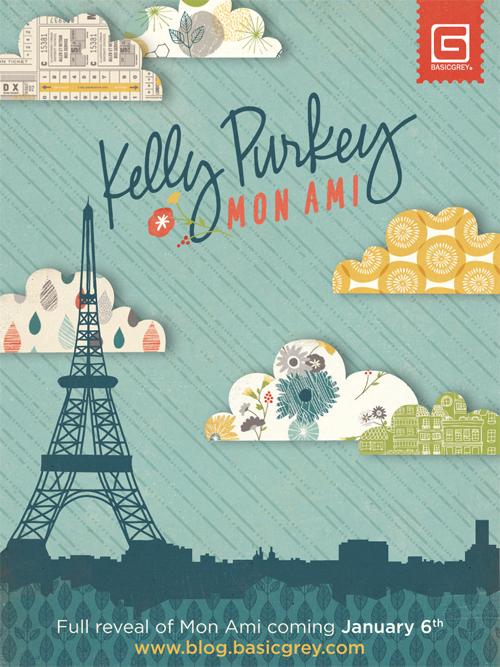 The new Mon Ami collection by Kelly Purkey is absolutely fantastic. We love all the clouds and building shapes. Great for all the travel themed projects. 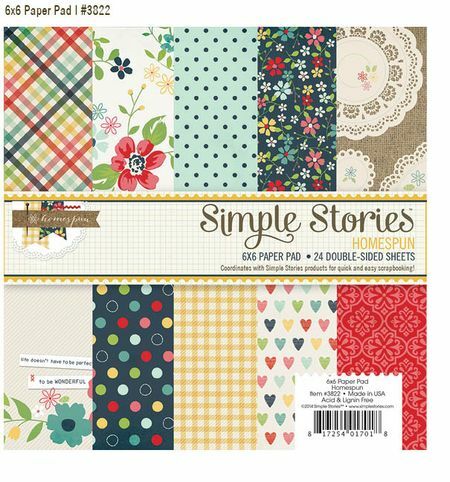 The Homespun collection from Simple Stories is full of gorgeous patterns and lovely colour combinations…. We hope you enjoyed this post on some of our favourite releases from this year’s show. All companies blogs have been linked to in each section so you can go and have a look at all the inspiration projects their DT’s have created with the amazing new products. All images are courtesy of the respective companies blogs. I have a long list……. OMG! This is sooooo gorgeous! I would love to case this card, but I know mine would turn out to be nothing but a mangled up, jumbled up mess! LOL! So I’ll be content in sitting here admiring your gorgeous creation! hugs !